Porsche Boxster information: everything you need to know if you own it, are thinking of buying one or just want to find out more about the convertible sports car. Click on the links below for all of CAR magazine’s news, reviews, videos, scoops and spy photos of the Boxster car range. We list the top 10 stories for each model – and where appropriate you can click on ‘More’ to browse even more of our archive. Now in its third generation, the Boxster is longer, lower, better looking and utterly brilliant. There’s a 2.7-litre base model, a 3.4-litre S (which we’d say is a far better car than the £80k 911 Cabriolet) and a slightly more powerful 3.4 GTS. 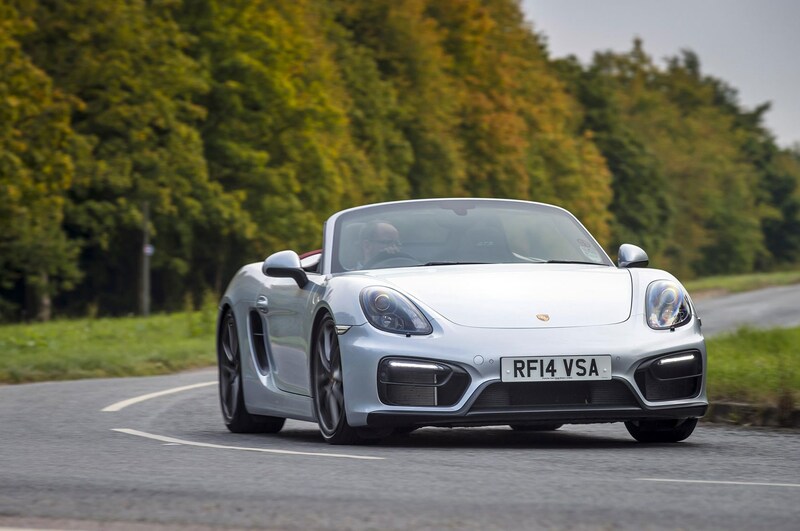 For more information on the Boxster, click on our further stories on the links below. Boxster III is an improvement in almost every way – more powerful, more comfortable, and even more wonderful to drive. The gearing’s quite long, so you need to get the engine spinning to make the most of it, but both 2.7 and 3.4 versions sound so lovely you won’t resent revving them out. The motorised fabric roof stows itself away in nine seconds, and can do so while you’re travelling at surprisingly high speeds – no need to pull over and get soaked while you’re waiting. One minor drawback is the power steering, which is now electro-mechanical rather than hydraulic. It’s a shade numb and lacking in feel, but then the chassis is talkative enough to make up for it. One of the world’s best sports cars. Are Porsches about to lose the jellymould?